HAMPTON, Va. (August 15, 2018) — The National Science Foundation (NSF) has awarded Hampton University a grant of $3,600,000 over the next six years, in support of an exciting project, entitled, “Hampton-Brandeis Partnership for Research and Education in Materials.” This continuous grant, which is a Partnership for Research and Education in Materials (PREM) project, begins September 1, 2018 and concludes on August 31, 2024, and expected to total $3,600,000, with award distributions of $600,000 per year. The Hampton-Brandeis Partnership’s overall goal is to serve as a catalyst for the recruitment and retention of talented students pursuing research careers in science and engineering fields. The Hampton-Brandeis PREM program will provide students from the School of Engineering and Technology and the School of Science with undergraduate research experiences related to integrated photonics and optofluidics, scholarship opportunities, and summer research experiences at Brandeis University in Massachusetts. 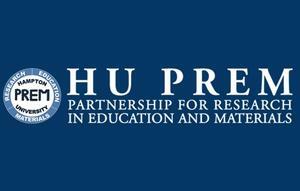 “In alignment with one of our university goals of strengthening the quality of our academic programs with diverse curriculum offerings, the Hampton-Brandeis PREM will develop a Material Science and Engineering minor, which will include courses from chemistry, engineering, and physics,” said Dr. Demetris L. Geddis, Ph.D, Assistant Dean of the Hampton University School of Engineering and Technology. Increasing communication of materials science and engineering to audiences across the continuum from peers to general audiences by all Hampton University PREM participants. Hampton University News is produced and published by the Hampton University Office of University Relations, 757-727-5253.